A four-year-old discovers the magic of mixing paint. A second grade collage mural depicts the vibrant life of a neighborhood. Fifth graders build robots using art and geometry. A tenth grader headed to art school studies life drawing. A college junior interns with a prestigious museum. They all have one thing in common - Studio in a School. 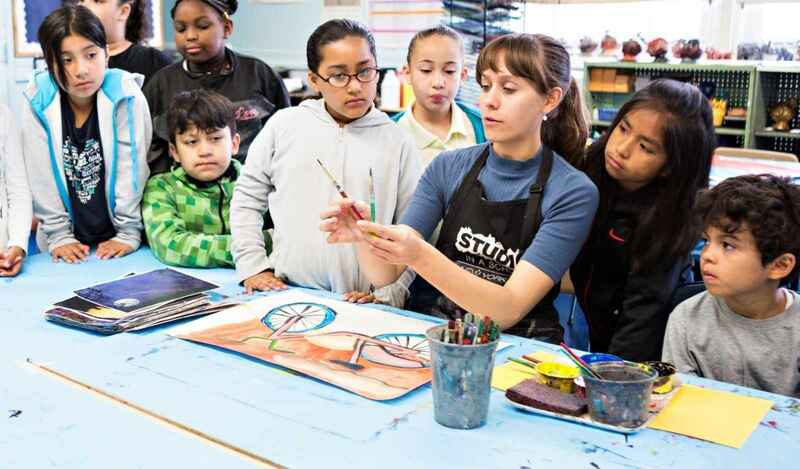 Working within the communities most at need, Studio collaborates with educators and cultural partners to ensure access for all students to the educational value and pure joy of the visual arts. 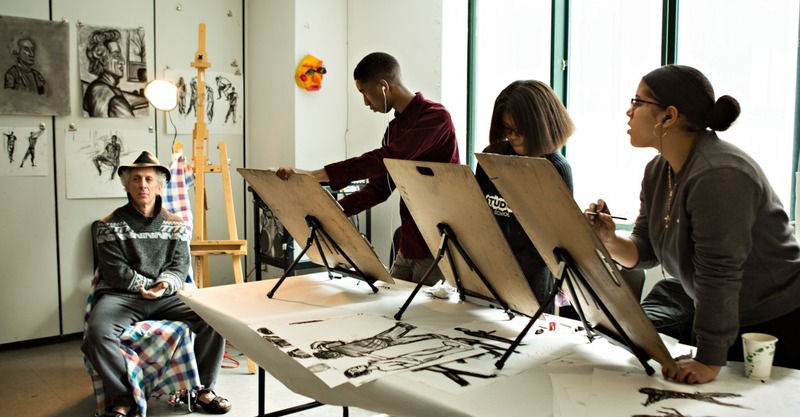 Please join us by making a donation to Studio today!